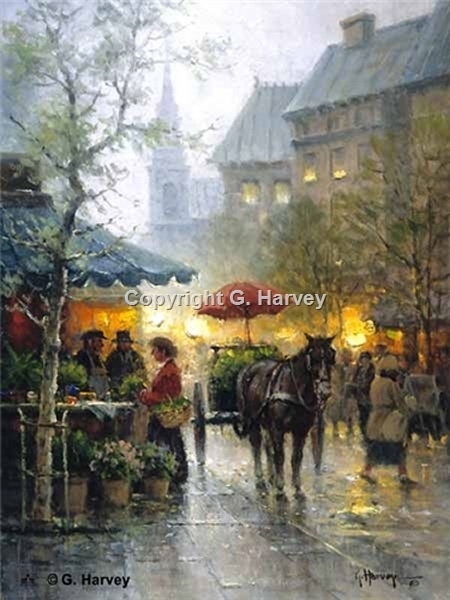 Boston and older cities like it have always been popular subjects with artist G. Harvey. The older architecture offer an ideal back drop to the leisurely strolling citizens in a period when life was not so hectic. A misty street, a flower vendor beneath a lovely awning and a horse-drawn wagon with an umbrella to protect the driver - it's all quite another time!